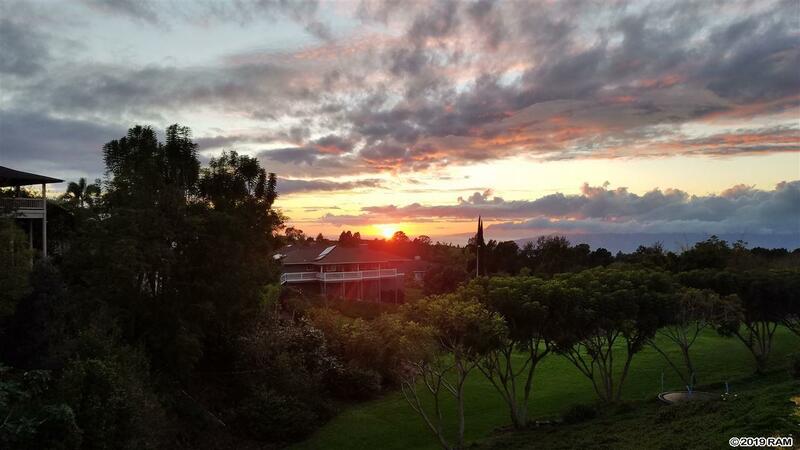 As you travel upward towards the Majestic Top of Haleakala tucked away at 2750 feet you will find a unique development mixing a blend of natures perfect gifts. Sun and Mild Temperatures with nutritious soil known as Kulamanu Estates. 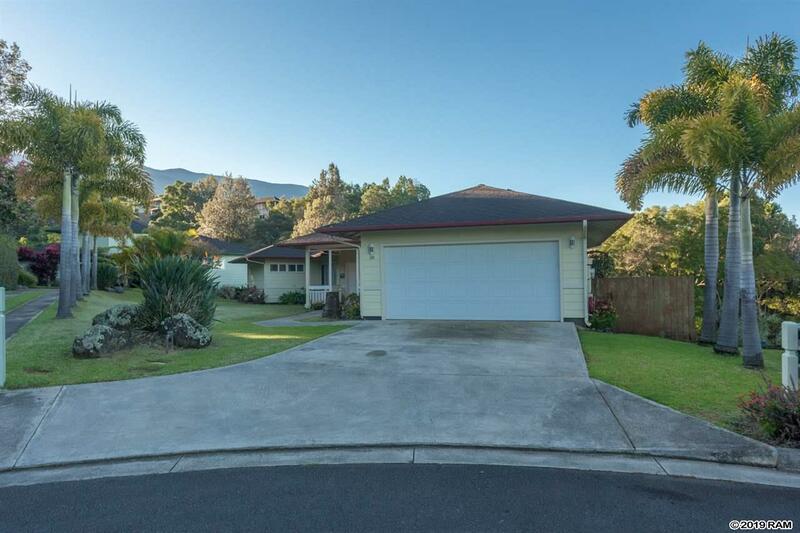 As you enter through a covered slated entry, this 3 Bed 2 Bath home, Workout area-office, 2 Car-garage with fenced yard has most obviously been loved and cared for and it shows. Situated on a dead-end cul-de-sac and sitting above a green-belt common area buffering you from other homes. 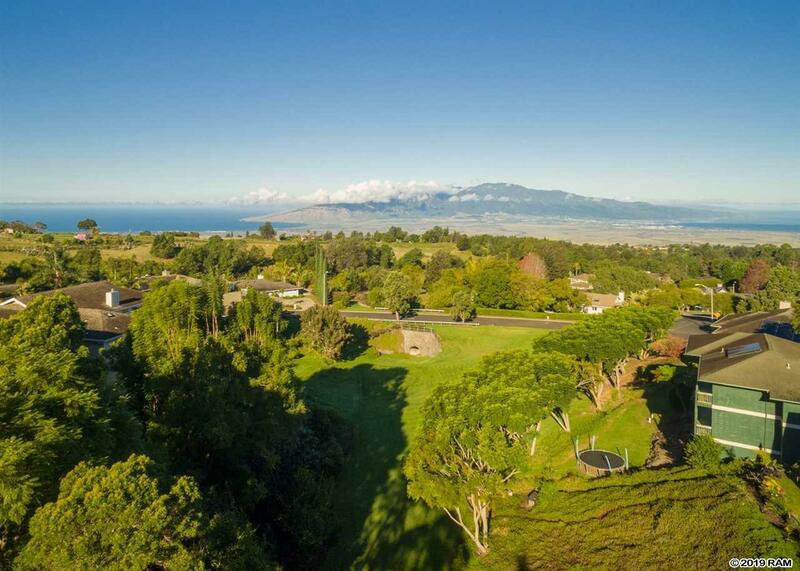 Views of the West Maui Mountains, the Island of Lanai and Pacific Ocean overlooking Haleakala ranch and farm lands are abundant. As you enjoy your outdoor lanai and light up your BBQ for your favorite grill, the built-in Stainless Steel vent diverts the smoke away. Use the remote-controlled Sunsetter awning to shade yourself or defend the small amount of rain and sit upon your tiled outdoor dining area and enjoy the Sunset, then Start the morning with your coffee or tea and favorite read. Gaze at the magnificence of nature. If you decide to stay in, sit at your dining nook area and enjoy your view out, from inside. Or just sit at your granite bar in the kitchen and sip away. When the evening gets chilly glide across your unique distressed oak floors and light up your wood burning Fireplace. Get yourself cozy for the evening and watch a movie, pop some popcorn in your modernized kitchen area just a few feet away. The slated lanai downstairs is covered and a perfect spot for a hammock. Enjoy the casual feeling of this quiet and peaceful home for many years to come. 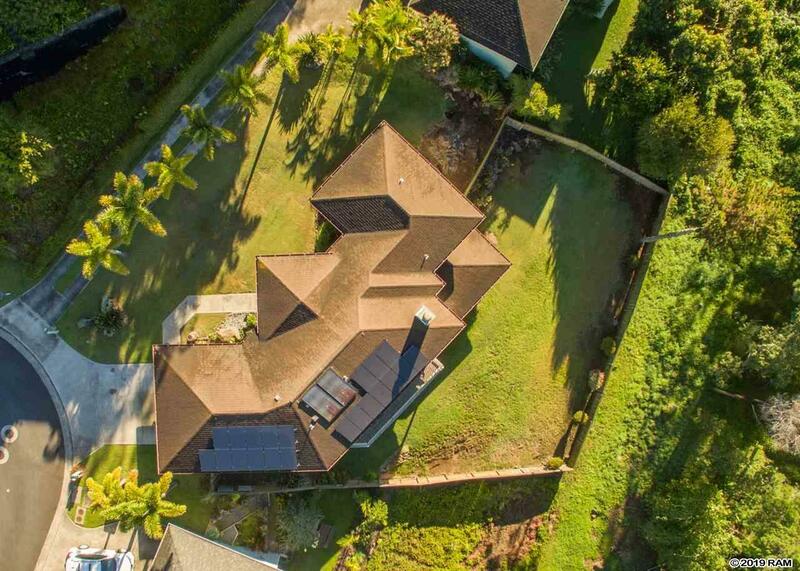 A rare find in one of Mauis most desirable locations.